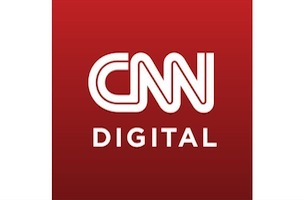 Some staff news out of CNN Digital Politics… executive editor Rachel Smolkin announced several new additions to her team earlier this morning including Hilary Krieger and Daniella Diaz — who will both be joining CNN from Politico. Additionally, freelancer Jeremy Diamond, who has worked with CNN for some time now, will officially be joining the team as a breaking news reporter; and Ashley Killough will be moving to CNN Political director David Chalian‘s team to cover the GOP campaign trail for 2016. Smolkin announced the staff moves in the internal memo below. Please join me in welcoming several new folks to our fast-growing digital politics team. Hilary Krieger will be coming onboard as enterprise editor. She’ll have a dual role — helping Steven Sloan to shape and edit the terrific enterprise coverage coming from Peter Hamby, Maeve Reston, Chris Moody, Stephen Collinson, MJ Lee, Ariane De Vogue, Mark Preston and others, and also carving out a global affairs/national security specialty working with the fabulous Barbara Starr, Elise Labott, Jim Sciutto and Ross Levitt on their scoops and enterprise for digital. Hilary was the deputy White House editor at Politico, and before that she was a multi-platform editor in The Washington Post’s opinion section. She has a history of following in the path of CNN leaders: Hilary followed Andrew Morse as editor-in-chief of The Cornell Daily Sun and Wolf Blitzer as a Washington correspondent at the Jerusalem Post. She worked there for a decade — first in Israel and then as Washington bureau chief — covering the State Department, the Pentagon and the White House. She starts Feb. 23. Daniella Diaz will be a key member of Dianna Heitz’s new digital production team. Daniella, who also joins us from Politico after she graduated from University of Texas-Pan American, will be making sure digital stories get the best possible treatment with great photos, headlines, videos and photo galleries. She’ll also work closely with Dianna and Eric Weisbrod to ramp up our already strong presence on social media as we continue to create and innovate. Daniella starts Feb. 24. Jeremy Diamond, who has been an important member of our team for months as a freelancer, has joined us officially as a breaking news reporter. He is already part of the CNN family, but I wanted to recognize his already-impressive contributions to the team; we’re looking forward to much more from him. And finally, I wanted to take a moment to thank and congratulate Ashley Killough, who is moving to David Chalian’s unit to cover the Republicans during the 2016 campaign. During a time of dramatic change on the digital politics team, Ashley’s help and professionalism have been invaluable. She was indispensable in guiding me and the rest of the newcomers as we tried to learn our way in a unfamiliar world. Ashley is a co-founder of the new team and will remain an important member even as she embarks on new adventures.